Many times lower back pain can be traced to lifestyle. A few simple lifestyle changes can help to lessen and in some cases remedy your lower back pain. If your pain is due to major trauma or disease, it can often be diagnosed thru imaging. At that point, a medical doctor may be able to help. If your pain is due to a series of cumulative mini-traumas that may not be easily diagnosed, changing some habits may help to alleviate the problem. Sedentary lifestyles often cause a great deal of lower back pain. Compared to standing or lying down, sitting can increase the pressure on your lower back by nearly 40%. Ironically, recliner chairs often exacerbate the issue and cause even more stress on your lower back. In 2013 researchers announced that “sitting is the new smoking”. Sitting down for hours at a time is difficult to overcome. 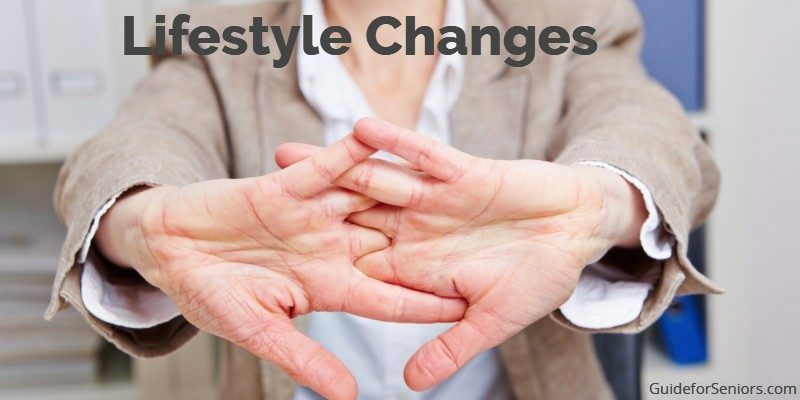 Lifestyle changes to include exercise will help but it will not alleviate all of the health issues you may suffer due to your sedentary lifestyle. So get up and get out of your chair. Go for a walk. Get on your bike. Take a jog around the neighborhood. Park at the very end of the parking lot and walk. Exercise can help to counteract the negative effects of sitting down for hours at a time. It is not a cure-all but it will help. If you have a job in which you sit all day, you may suffer from more health issues than those individuals who are in more active occupations. If you have back pain, change your lifestyle and work habits. Even if you do not have back pain make the change. Perhaps you are in the group that is going to have pain so you need to avoid it at all costs. A standing desk is a worthwhile investment for those who work sitting down all day. You can get a walking treadmill with a desk attached or even bicycle as you are sitting at your desk. Employers are more lenient when it comes to these innovations. If you don’t have that option, make sure you stand, walk, and stretch as often as possible. Movement helps back pain. If your back hurts, get up and move around for as long as possible. This may be your key to some relief. Research has shown that people who regularly perform low-impact exercises, such as walking, yoga, and stretching, are less likely to experience chronic back pain than those who are sedentary. Tai Chi, cycling, pickleball, and water aerobics are good options for lifestyle changes as well. When you carry a purse, consider the weight of it. Put it on a scale and you may be astounded at the weight. It is putting pressure on your back that you do not need. You should not carry a bag that weighs more than 10% of your own body weight. That means that if you weigh 130 pounds, your bag should be no more than 13 pounds. And even that is a lot. Get rid of everything except the bare minimum. You will do yourself and your back a favor. Just think of the relief when all that weight is taken off your shoulder. The problem is exacerbated when young children carry large backpacks with heavy items in it. You will be amazed at how their pain will also disappear when their load is lightened. If you must sit for long periods of time, make sure to take breaks often. Get up and move about. Stretch often. Don’t overburden a painful back and make sure you keep the weight balanced when carrying a load. Being kind to your body and by listening to what your body tells you will help in reducing any present and future back problems. Think about how much weight you are carrying around and respect the 10% rule. Balance all loads evenly across your body. Take care not to strain your back. If you do, you will pay for it! A varidesk might be just right for you. Check it out!